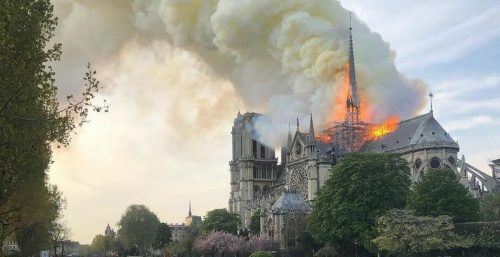 The Notre-Dame Cathedral, one of Paris’ most iconic landmarks, has been engulfed in flames. The 850-year-old historical monument marks the heart of the city for locals and tourists alike, and is the most visited monument in Paris. The cathedral sees 12 million visitors a year — nearly double the people who visit the Eiffel Tower. In a phone call with Daily Hive, an employee at Montreal’s Notre-Dame Basilica confirmed that at 1 pm this afternoon, the basilica rang its bells in honour of Paris’ timeless Notre-Dame Cathedral. Twitter user Simon Plourde shared a video of the ringing bells from this afternoon and it’s absolutely heartwrenching. 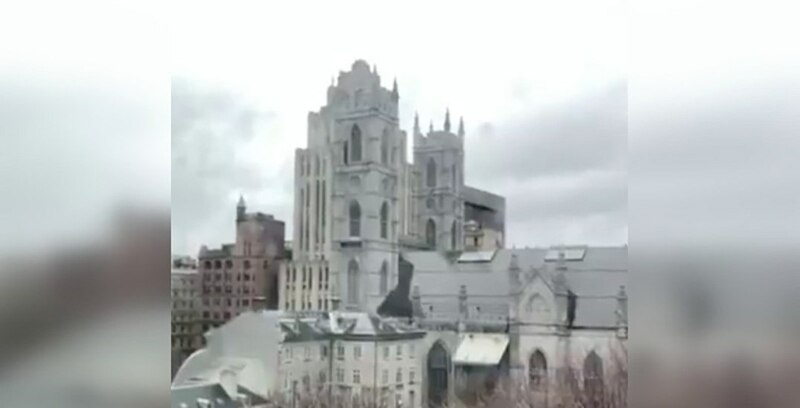 Notre-Dame Basilica’s Pastor, Miguel Castellanos, took to Facebook to send out his thoughts and prayers for the iconic building. With files from Kellie Paxian.